With its innovative design and manufacturing techniques, Echo has set the standard for performance, quality, and reliability in the power tools industry. 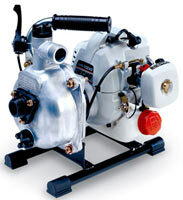 Echo's premium two-stroke engine is a strong indicator of the company's commitment to superior craftsmanship. These engines feature Echo's exclusive Pro-Fire Electronic Ignition that provides maintenance-free high output voltage to the spark plug to ensure fast starts within the first few pulls even after extended storage. 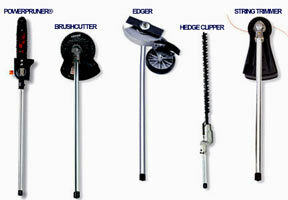 Great warranties and service are available when you buy Echo power tools. Echo offers a 2-year warranty of all models purchased by consumers; a 1-year warranty on models purchased by professionals; and a 90-day warranty on all rentals. An unconditional lifetime warranty covers all Echo trimmers, Echo edgers, Echo shaft hedge clippers, and Echo PAS attachment flexible drive cables, Echo trimmer/brushcutter solid drive shafts and all Echo ignition modules.